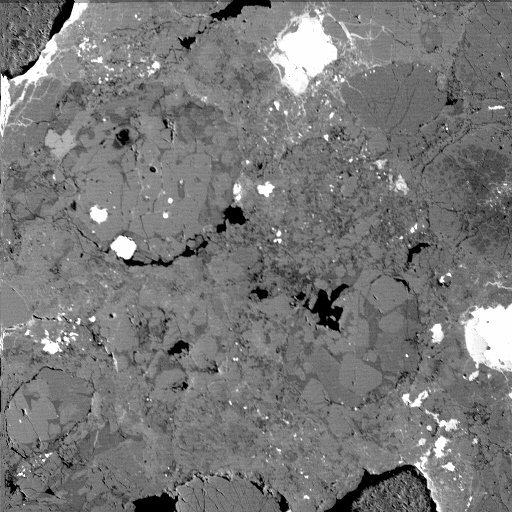 Les images ci-dessous ont été réalisées à l'aide d'une sonde electronique equipé d'un dispositif MEB. Voir la première image pour l'échelle et la taille des analyses, qui sont valables pour toutes les suivantes. 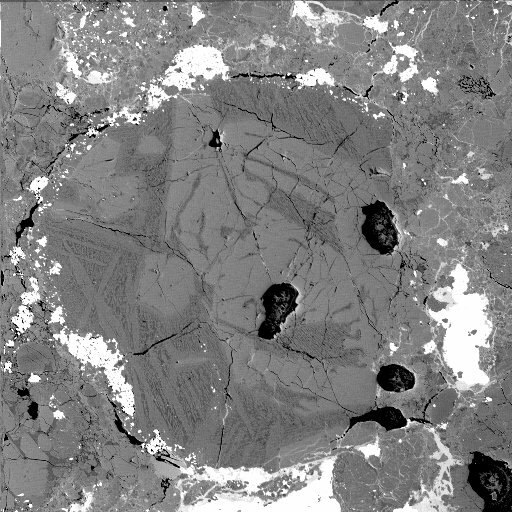 Pictures hereafter have been otained thanks to an electronique probe (SEM), fitted with a BSE device. First picture gives the scale and analyses size, which are valid for all. 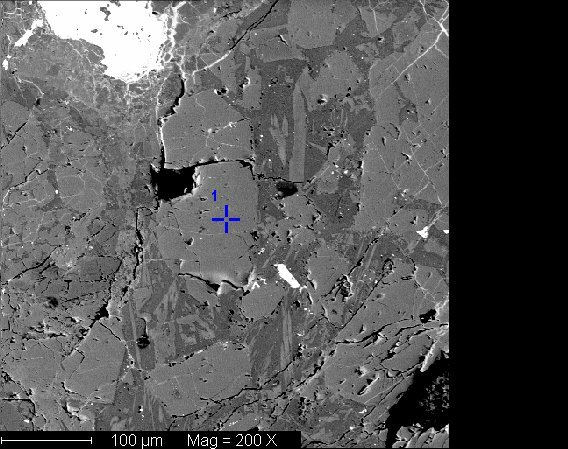 Chondrules are almost invisible, proving a high metamorphism. 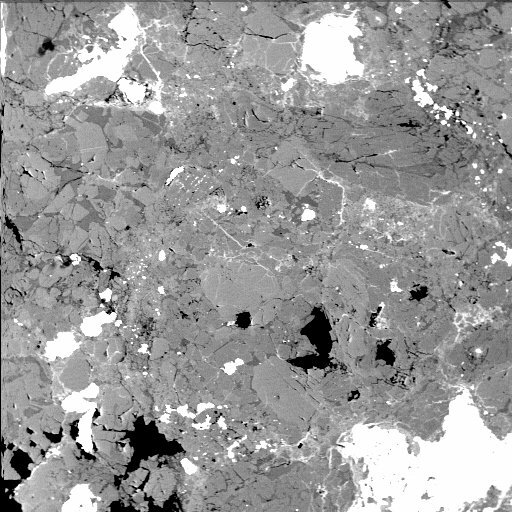 Chondrules can be seen with their boundaries darker, and their crystal structure. 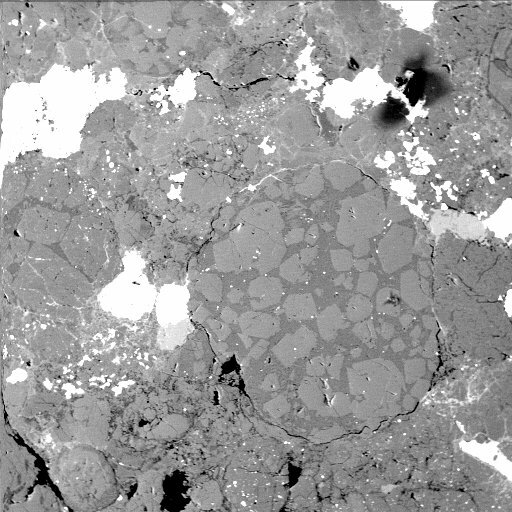 A big chondrule can be seen in the centre, with its crystal structure very sharp. 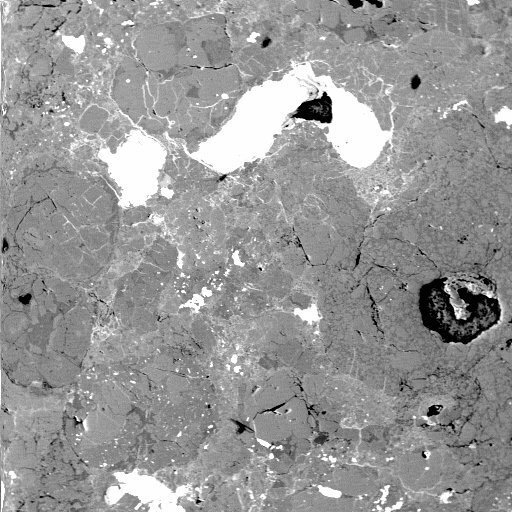 Rests of chondrules quite metamorphised can be seen, almost without any boundary visible. 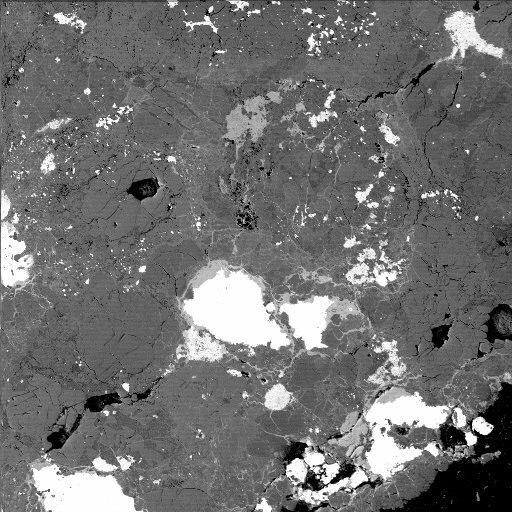 More chondrules contain Fe/Ni flakes in the area covered by this picture. 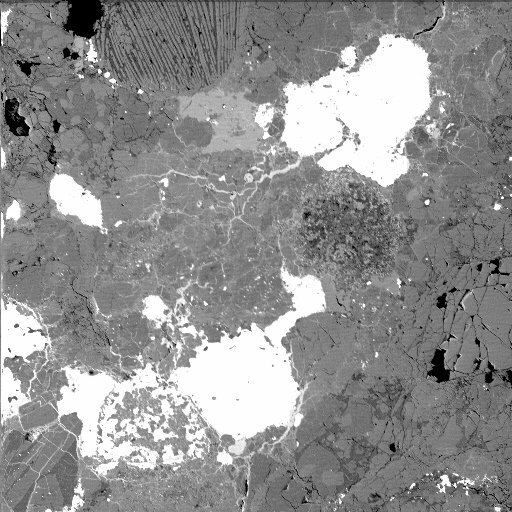 Chondrule boundaries are almost invisible, proving quite a high metamorphism. 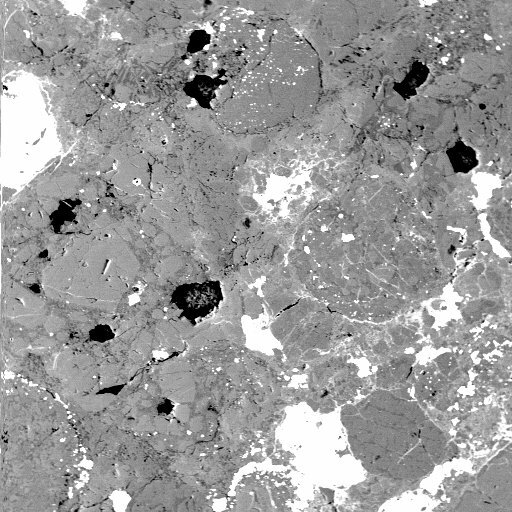 Rests of chondrules can be seen but their boundaries are not very sharp. 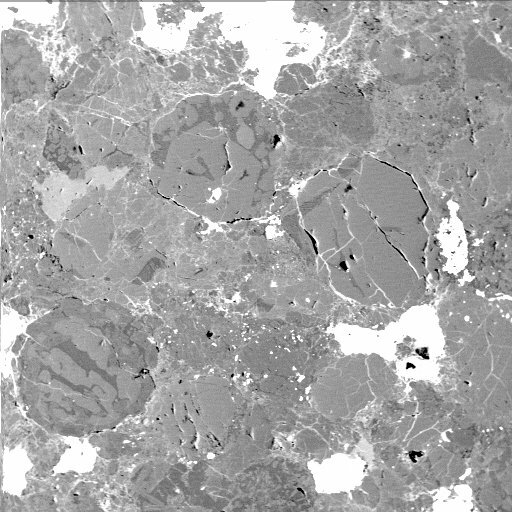 Rests of chondrules can be seen but their boundaries are not very sharp, except for two of them on the left. 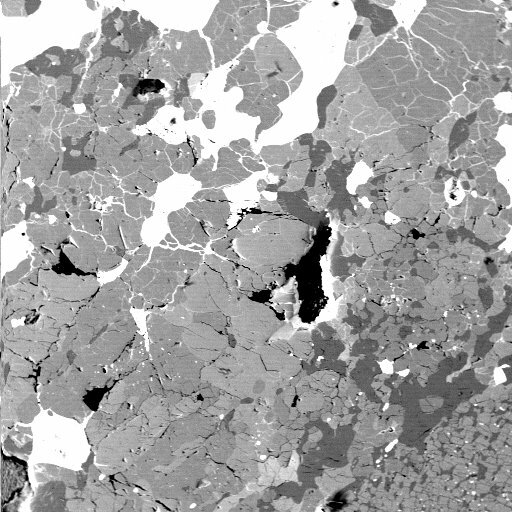 Chondrules are sharper in this area. 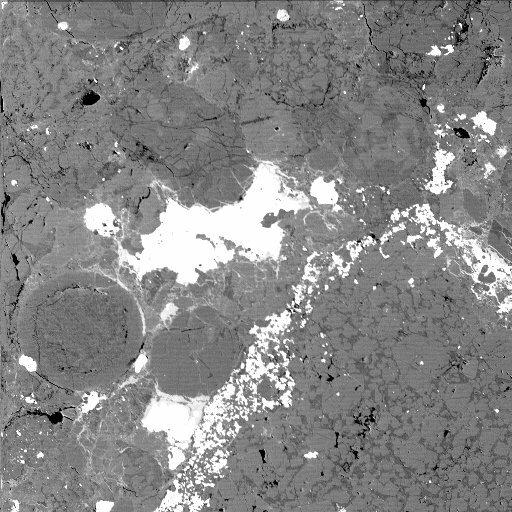 A magnificent crossed chondrule can be seen on the top left corner. Others are not that sharp.